We're getting together next Saturday, April 25 -- care to join us? 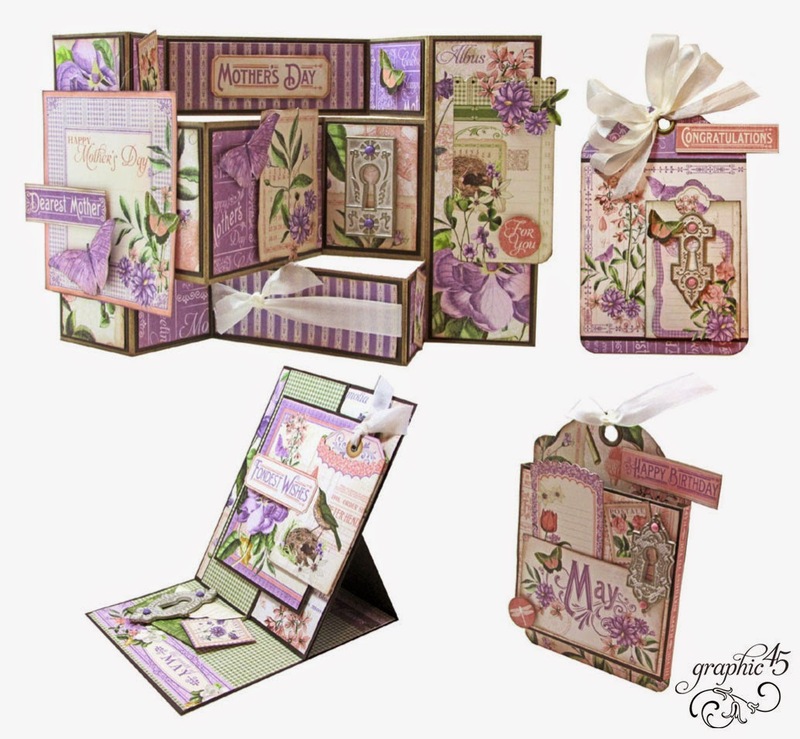 We're making cards and tags using Graphic 45 Time to Flourish papers and goodies for May (Mother's Day and springtime). 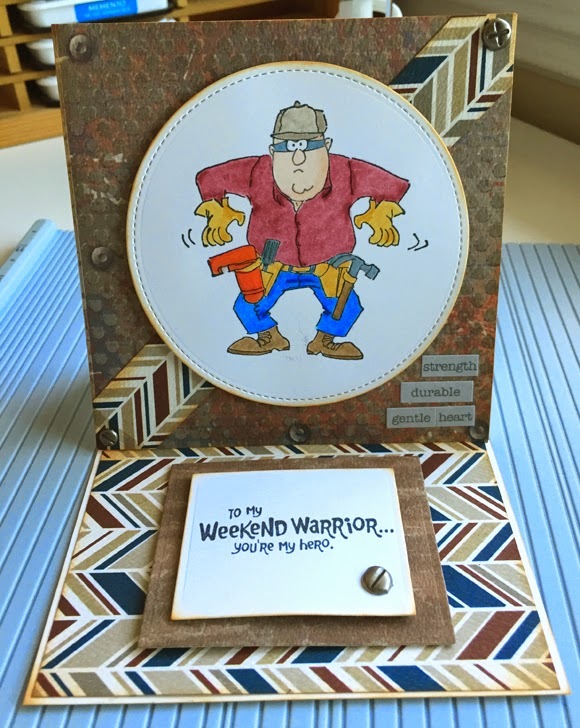 That's an antique Nesbitt's bottle cap on that center card, the Lawn Ranger "wobbles", and the Weekend Warrior has screw brads and is an easel card with a fun interior! Check out The Making Place (click HERE) and give them a call to sign up. Hope to see you in a creative, crafty class soon! I rarely make masculine cards, yet frequently find I need one. 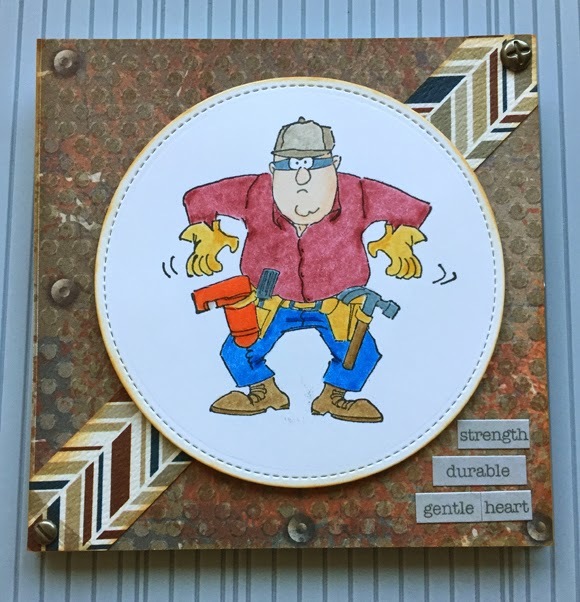 I'm guessing I'm not the only one in this predicament, so I thought it might be fun to host a masculine card making class. Here is one of the cards we'll make. I picked some fantastic patterned papers from the brand new Authentique line called Durable (how apropos, right?) and paired them with some manly Art Impressions rubber stamps. The Durable line has so many great patterns that I'm going to guess we'll make about a half dozen cards, or so. They'll be great for Father's Day, birthdays, anniversaries and more! 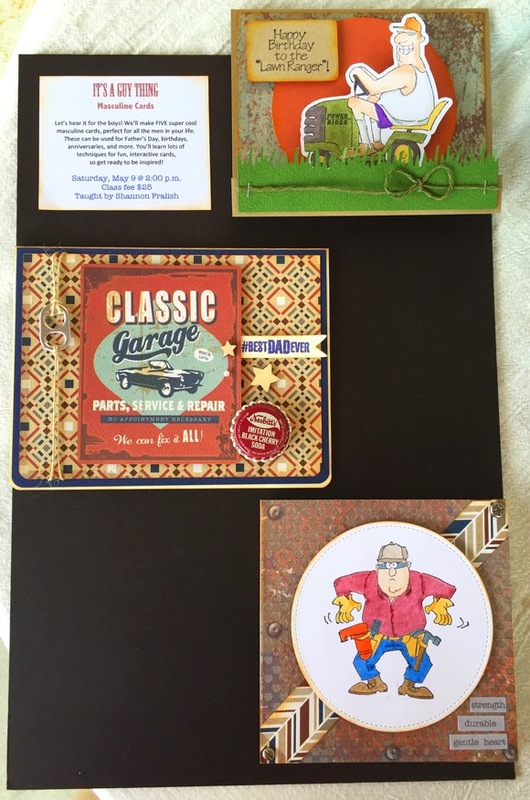 Boost your card stash with several more awesome masculine cards and join us on Saturday, May 9 at 2:00. We're all meeting at The Making Place in Escondido, so come spend your afternoon with some new crafty friends. 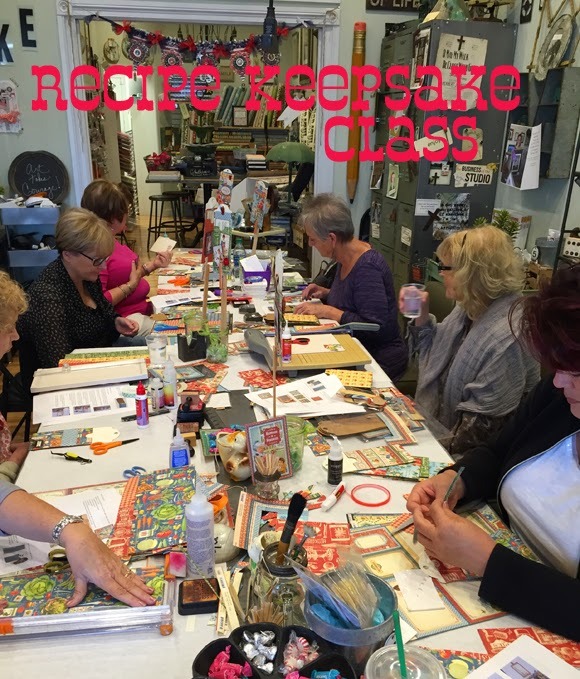 Call (760) 739-8605 to register for this class. See you soon! 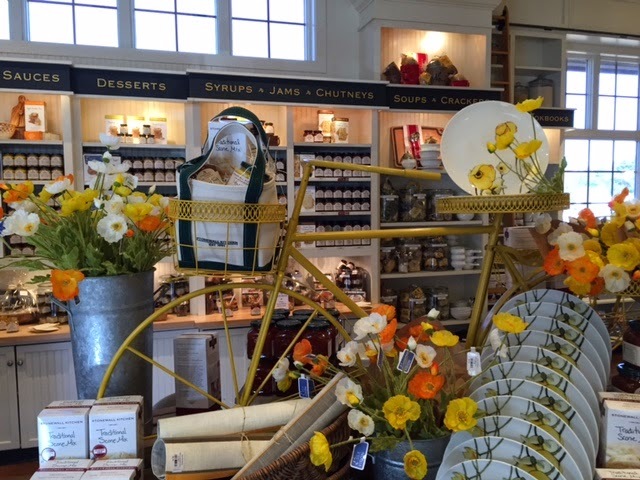 Thanks to my friend Kristin, I'm sharing this snapshot of a whimsically joyful display at Stonewall Kitchen in York, Maine. Those poppies are just too pretty! And look at all their luscious/famous jam in the background! I wanted to make sure I could find all the Easter bunny's eggs on Sunday! Hee hee! Just kidding. 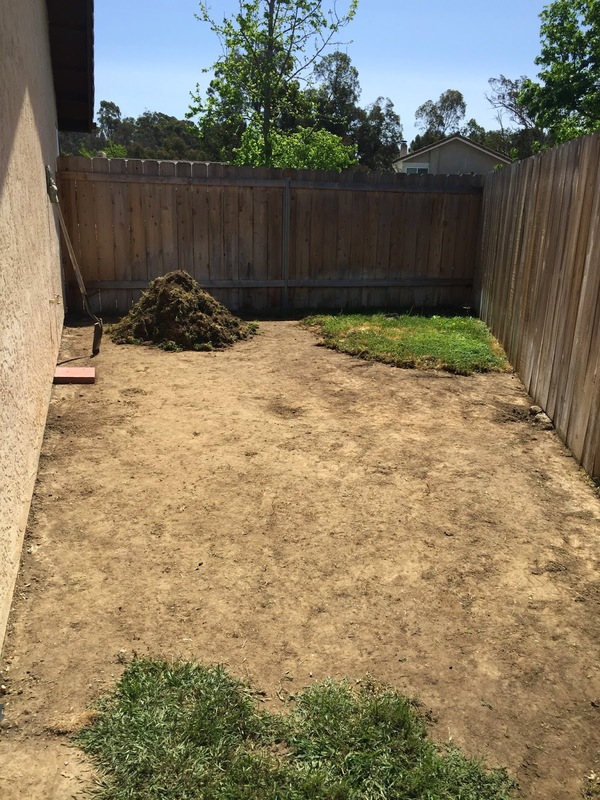 Here in California we're (once again) in a serious drought, so I decided to take out the crummy grass and weeds on this side of the house. There was once a plum tree in the corner, but it's long gone except its stump. Capped off four sprinkler heads while I was at it. I'm daydreaming of a new storage shed and potting bench (with sink) for this area. 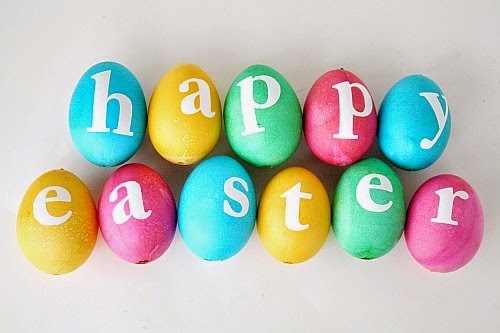 Now I'm ready to spend the day with my family -- wishing you and yours a wonderful Easter! I'm kind of in the vintage mood these days, loving all things Graphic 45. A couple months ago I spotted a tag album by Denise Johnson and wondered what small treasures would work in those awesome tag pockets. 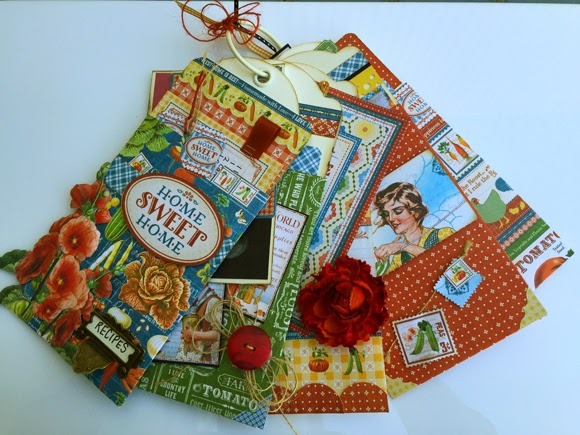 When I spied the new Home Sweet Home line, I knew I had to make a recipe keepsake album. 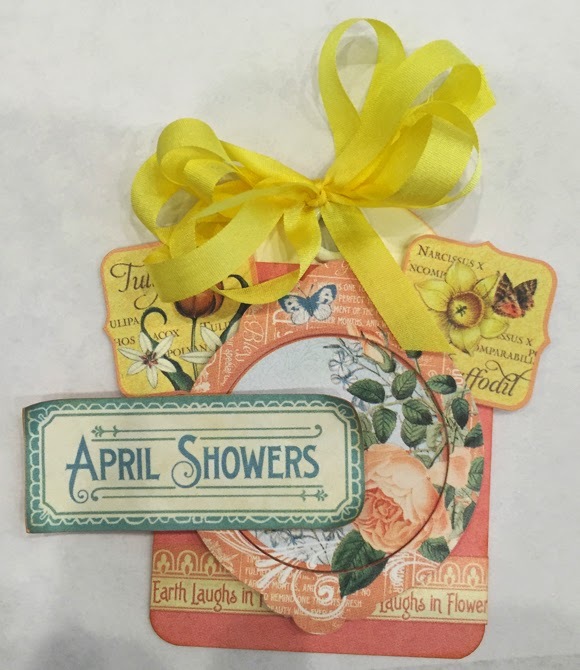 I figured my crafty neighbors here in San Diego might like to make one, too, so I'm hosting a class at The Making Place on Saturday, April 18 at 10:00 a.m. I had so much fun making this project. I added several photos and some of my all-time favorite recipes from friends, family, and my junior high school lunch lady! This is a copy of the recipe Miss Della put into our junior high school newspaper back in the 70's. I still have that clipping in my recipe box. We loved her Basic Bars! 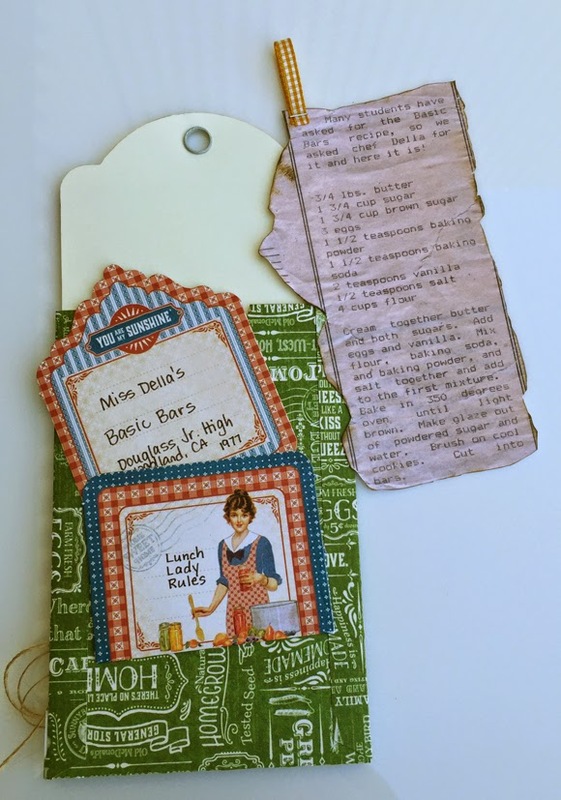 This recipe keepsake would make a great gift for a child, a soon-to-be bride, or new mom. There are just a few spots left (and kits are available with photo illustrated instructions), so call The Making Place at (760) 739-8605 and register! 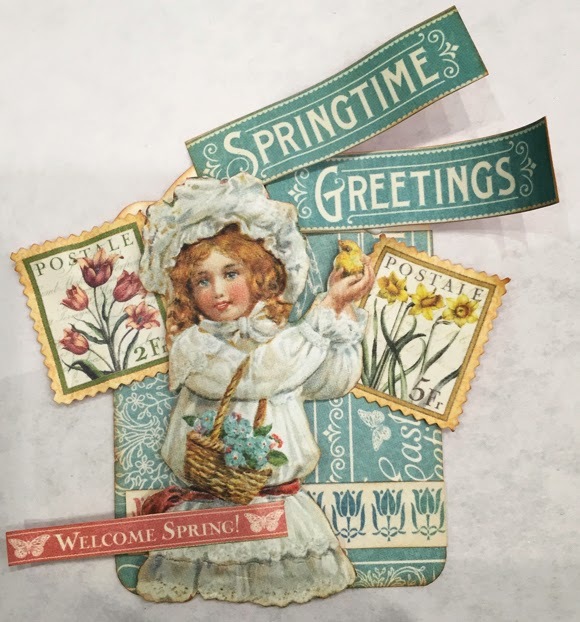 It's been a very busy start to spring, so I apologize for being away from Blogland for so long. 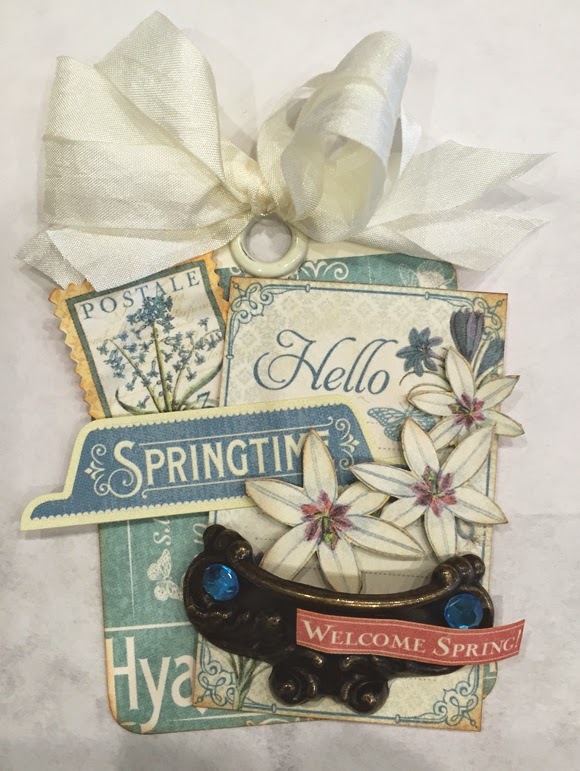 I'm now on a short "spring break" and I wanted to share a few photos of yesterday's card and tag making class I taught at The Making Place in Escondido. We had a full house and made two gorgeous cards and three ATC-sized tags today using Graphic 45's Time to Flourish line. There was definitely an Easter and springtime theme going on. Here are quick-pix (quickies snapped on the go!) of the tags. 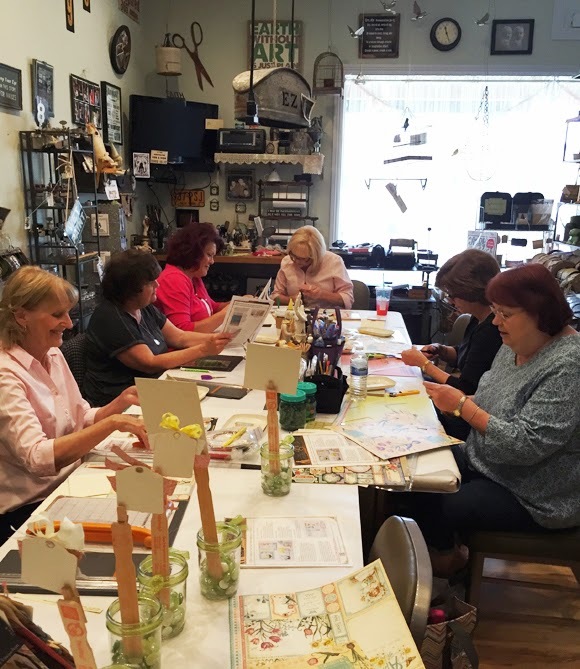 An appreciative shout-out to Sandy, Marie, Kathy, Sherry, Mary, Gail and Donna for spending their afternoon gettin' their craft on vintage style! I've got lots and lots of new classes scheduled, so check the CLASSES tab above if you feel like joining us sometime. We always have lots of creative fun!